Used by: The Royal Flying Corps and the Polish Air Force between 1916 and 1930. Armament: One 0.303 inch (7.7 mm) forward-firing Vickers machine gun in the upper fuselage and one or two 0.303 inch Lewis Guns in the observer's cockpit. 240 lb (110 kg) of bombs. The Bristol Fighter was designed as a potential replacement for the B.E.2c. It was a British two-seat biplane fighter and reconnaissance aircraft of the First World War flown by the Royal Flying Corps. Despite being a two-seater, the F.2B proved to be an agile aircraft that was able to hold its own against opposing single-seat fighters. Having overcome a disastrous start to its career, the F.2B's solid design ensured that it remained in military service into the 1930s, and surplus aircraft were popular in civil aviation. 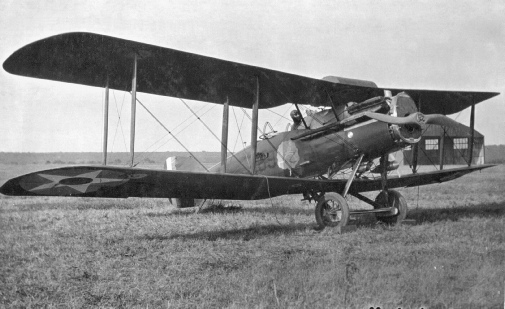 Only 52 F.2As were produced before production switched to what became the definitive Bristol Fighter, the Bristol Type 14 F.2B which had first flown on 25 October 1916. The first 150 or so were powered by the Rolls-Royce Falcon I or Falcon II engine but the remainder were equipped with the 275 hp (205 kW) Falcon III engine and could reach a maximum speed of 123 mph (198 km/h). The F.2B was over 10 mph (16 km/h) faster than the F.2A and was three minutes faster at reaching 10,000 ft (3,000 m). Rolls-Royce aero engines of all types were in chronic short supply in this period, and the Falcon was no exception. Plans to make the Bristol Fighter the standard British two-seater, replacing the R.E.8 and F.K.8, stalled against this barrier; there simply were not enough Falcons available. Efforts to find a readily available replacement engine that was sufficiently powerful and reliable, failed. When initially deployed, aircrews were instructed to maintain formation and use the crossfire of the observers' guns to meet any threat from enemy fighters. This was standard procedure at the time for two-seaters and worked well for aircraft such as the F.E.2b. For the more powerful and aerobatic Bristol these tactics were flawed and did not withstand the first contact with the enemy. The F.2A arrived on the Western Front in April 1917 as the British launched the Battle of Arras. The very first F.2A patrol of six aircraft from No. 48 Squadron RFC, led by Victoria Cross recipient William Leefe Robinson, ran into five Albatros D.IIIs from Jasta 11 led by Manfred von Richthofen. Four out of the six F.2As were shot down – including Robinson, who was captured – and a fifth was badly damaged. More flexible, aggressive tactics soon proved that the new Bristol was by no means as ineffective in air-to-air combat as its first encounter with the enemy seemed to indicate. In fact it was eventually realised that the aircraft was fast and manoeuvrable enough to be flown in combat more or less like a single-seat fighter. The pilot's fixed forward-firing gun served as the principal weapon, with the observer's flexible gun serving mainly as an additional "sting in the tail". Flown in this manner the Bristol Fighter was a formidable opponent for any German single-seater. In September and October 1917, orders for 1,600 F.2Bs were placed and by the end of the First World War, the Royal Air Force had 1,583 F.2Bs in operation. A total of 5,329 aircraft were eventually built, mostly by Bristol but also by Standard Motors, Armstrong Whitworth and even the Cunard Steamship Company. After the war, F.2Bs continued to operate in army cooperation and light bombing roles throughout the British Empire, in particular the Middle East, India and China. The F.2B also served with the New Zealand Permanent Air Force and RAAF as well as with the air forces of Belgium, Canada, Ireland, Greece, Mexico, Norway, Peru, Spain and Sweden. It was not until 1932 that the F.2B was finally withdrawn from RAF service, the last "Brisfit" unit being No. 20 Squadron RAF stationed in India. It lasted a further three years in New Zealand service.